The bold and elegant Eau de Parfum reveals the timeless chic of Miss Dior in a chypre floral fragrance. Its citrusy top notes featuring Sicilian mandarin and blood orange bring audacity and energy. The floral heart is a symphony combining the sensuality of Grasse rose with Grandiflorum jasmine. Indonesian Patchouli essence gives it sensual and contemporary sophistication. 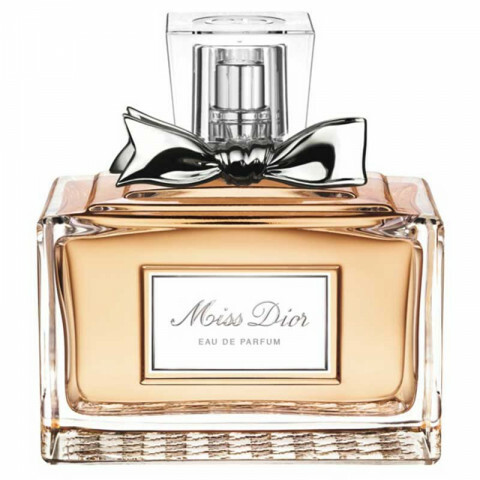 An instantly charming Miss Dior fragrance that is easy to love. The scent screams fun, happy times. This is a "Girls just Wanna have fun"at a soirée with their besties. I smell strawberries, patchouli roses and Amber. It reminds me of the movie, The World of Henry Orient, and Estee Lauder's Pleasures Delights. this is perfect for summer, always get compliments when I wear. Very lovely scent that makes you feel like a lady. It is good for daytime or nighttime, as it is not heavy, but it also lasts for a long time. I love fresh floral scents! This was the first Dior perfume I ever tried and I've been hooked ever since...so much to the point that I've tried every other Dior perfume and have never been disappointed. This is my favorite scent, year round! i love this dior perfume. it is very lovely to wear in the spring/summertime. great blend of floral and fresh smells. great staying power, but not too overpowering. can be worn day or night. beautiful scent. I have re-purchased several times. I prefer this one in the summer. It's got a nice balance between floral and citrus notes, very wearable and unique.